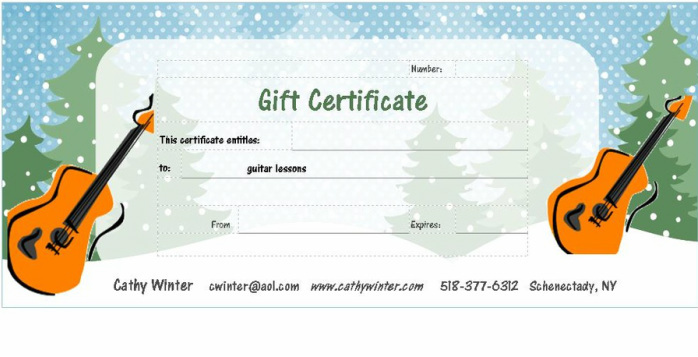 Guitar lessons make a fantastic gift ! Call or email to make arrangements. Once you've made arrangements with me, you can download the file for the certificate below by clicking on the document link in case you don't have time for me to mail you one.